An explosion can cause a tremendous amount of energy and pressure which can result in significant damage. The best way to minimise the damage to a vessel or silo is by directing the explosion away from people and machinery in a controlled way. This is called Explosion Venting. It is incredibly difficult to calculate precisely where a venting system should be located but, none-the-less it is something that StuvEx has been doing for many years and it is something that we are very good at. Explosion Venting is a very precise science – certainly not a case of cutting a hole in the side of a vessel and fitting a simple bursting disc for example, without calculating opening pressures and correct placement. But we do this all the time – and more to the point get it right all the time so please, leave it to us. 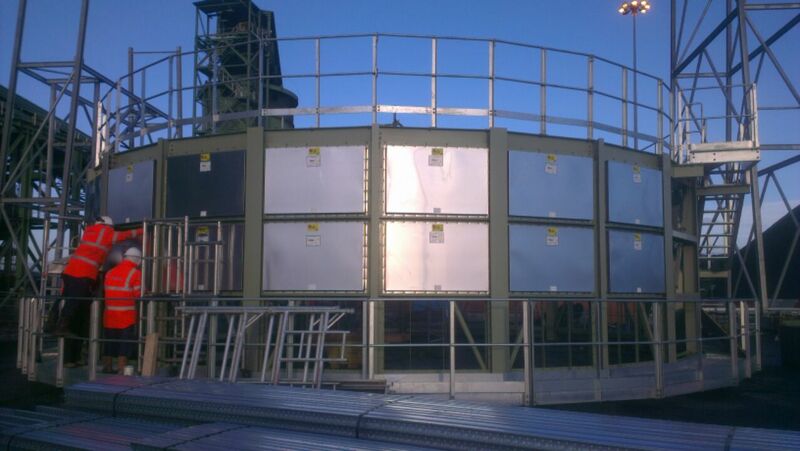 The StuvEx DQS provides a completely different type of explosion protection because with a DQS installed the explosive pressure can be safely vented even in areas where the workforce is close to the vent opening. The DQS consists of a spring loaded diaphragm which in the event of an explosion opens and allows the gases to be cooled by a series of metal plates, thereby preventing flames from entering the work-place. The moment that the explosive pressure is reduced, the DQS closes to stop any air reentering the vessel and thereby stopping any chances of a secondary explosion. DQS is compact and practically maintenance free. Once an explosion has taken place a visual inspection is generally all that is needed before production can continue. DQS is ATEX Certified. 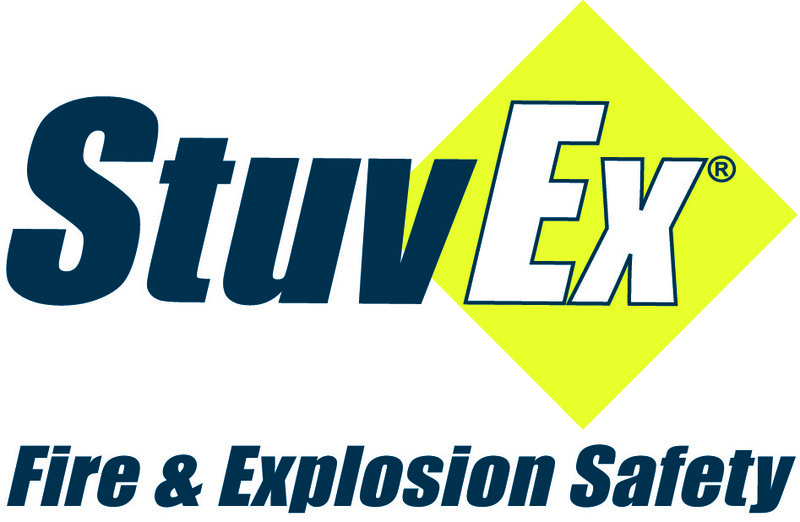 The StuvEx Indoorvent has all the advantages of the Stuvent Explosion Vent plus an integrated flame arrestor which has the overall benefit of allowing an explosive event to safely occur inside a building. The Indoorvent consists of a large area rupture disc and a flame arresting, ceramic filter. Once the Indoorvent is activated, both the rupture disc and the filter elements can be easily replaced by the user which saves time and gets the process up and running again with the minimum of fuss or loss of production. However, the correct fitting and placement of the Indoorvent is absolutely critical. Indoorvent is ATEX Certified. 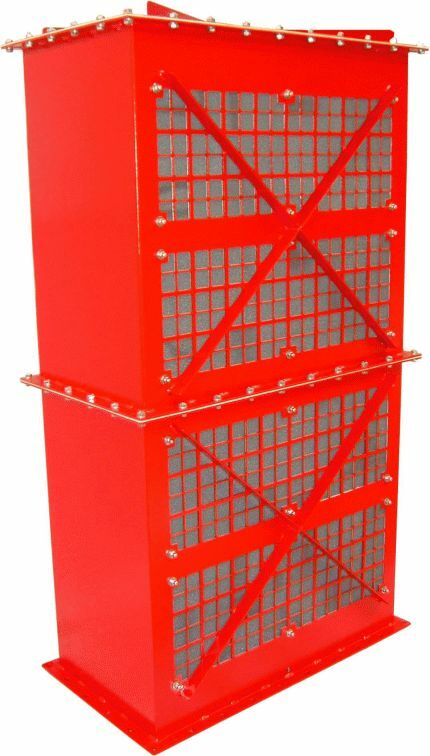 StuvEx Stuvent Explosion Vent Consisting of a thin metal membrane which opens once a specific pressure is reached, the Stuvent is suitable for areas where both gas or dust explosions are possible and is 100% efficient. Stuvent is gloriously simple. The vent itself is pre-cut on three sides the fourth side is left un-cut which means that in the event of an explosion the vent itself stays attached thereby eliminating the damage that a flying metal plate could cause. Every Stuvent is ATEX certified. Four different models are available that will cover every type of application: KE is ideal where low pressure variations are expected and where a flat explosion vent is required KER has reinforced edges allowing it to be fixed in place without the need for a frame. KEW has been designed for fitting to a curved surface such as a silo wall. GE is a domed panel for use under vacuum conditions up to absolute vacuum.